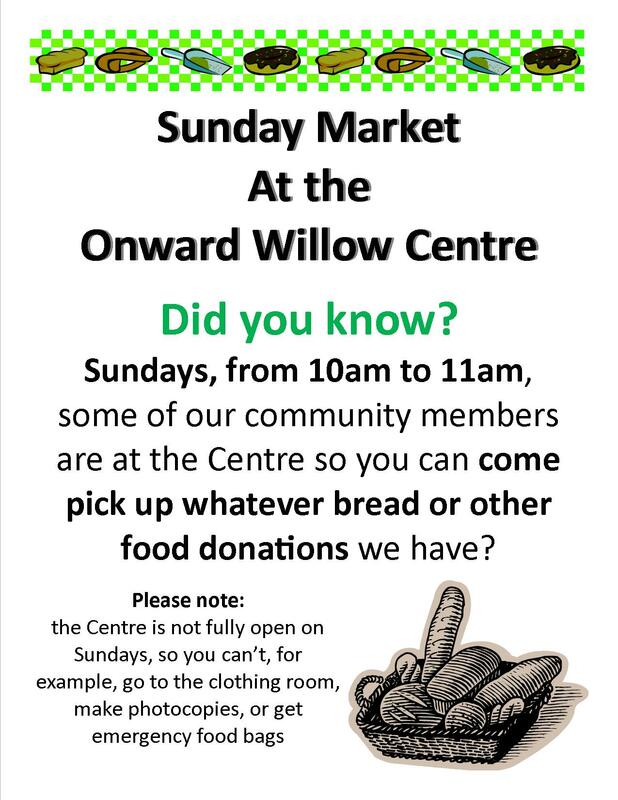 Did you know that on Sundays from 10am to 11am community members are at the Onward Willow Community Centre so you can come pick up any food donations (including bread) that we have available? We call this our Sunday Market! This week, we’ll have buns, bread, and some veggies. Come and enjoy!